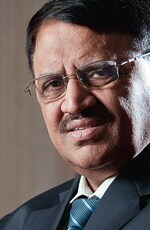 IDBI Bank CMD M.S. Raghavan says the competition among banks in the infrastructure space has diluted the standards of financing. It is high time all of us stick to some standards in this space. Financing the Rs 51 lakh crore infrastructure expansion programme under the Twelfth Five Year Plan (2012-17) critically hinges on achieving the targeted 47 per cent private sector investment. So far private sector investment in the infrastructure sector has been towards projects in sub-sectors that are well-regulated, operate in an orderly and efficient market and offer relatively easy-to-manage projects with robust business plans. As regards deployment of bank credit in the sector, a significant portion of the debt requirement of privately-funded projects has been met by borrowing from domestic banks. IDBI Bank has been extending financial assistance to the infrastructure sector in a big way. As of September 2013, our fund-based exposure to the sector was about Rs 49,281 crore. The incremental deployment of credit in the sector increased from Rs 1.19 lakh crore during the Tenth Plan to Rs 4.76 lakh crore during Eleventh Plan, a 300 per cent growth. The growth rate in deployment of gross bank credit in the sector declined from 20.5 per cent in 2011/12 to 16.5 per cent in 2012/13. Banks, however, have limited appetite for a major role as providers of long-term debt for infrastructure projects as they are weighed down by the risk of an asset-liability mismatch. The long-term funds available with insurance and pension funds are not being adequately channelised to meet the debt requirement of the infrastructure sector due to regulatory restrictions. The corporate bond market and the recently set-up infrastructure debt funds (IDFs) are yet to play significant roles as providers of long-term debt. Further, most of the greenfield infrastructure projects do not secure a high credit rating, which in turn affects their ability to raise external funding. In this regard credit enhancement mechanisms could provide adequate security comfort to lenders for extending debt to infrastructure projects. The competition among banks in the infrastructure space, however, has diluted the standards of financing. It is high time all of us stick to some standards in this space. These are also tough times for banks. At IDBI, we have seen slippages in the last two quarters. Despite this, we have been able to maintain the coverage ratio at about 63 per cent. Stress still prevails in the economy. Balance sheets of banks that have more exposure to corporate and infrastructure sectors are stressed in such an environment. (a) Banks which have provided finance during the implementation stage with a higher risk need to be reasonably compensated when they give up a good asset after the project is completed. At present the scheme provides only a small incentive. (b) Uncertainty of culmination of the take-out transaction due to the numerous conditions to be fulfilled at the time of actual take-out. (c) Restrictive conditions with regard to limit on take-out loan quantum, exclusion of refinanced loan/loan for financing overrun in the project, amortisation schedule of take-out loan, etc., are not appreciated by the borrowers or the banks. Reliance on funding project debt through external commercial borrowings runs the risk of refinancing, due to the reluctance of foreign lenders to extend long tenured facility, as also the cost of hedging forex risk, which is expensive in a volatile forex market. Often long-term hedging products are not available. Going forward, infrastructure projects are likely to become relatively complex to manage - encompassing structuring, construction and operation phase issues. Project preparation will assume greater significance and attract sharper focus. This is an important time-consuming and expensive exercise, which has the potential to maximise 'value for money' in a project. A well-developed financial system is a critical chain-link for facilitating long-term financing. The government is trying to develop corporate bond markets, take-out finance, etc. There is a dire need for structures similar to development finance institutions (DFIs).